Are you a huge fan of Anime shows? Are you yearning to watch your favourite Anime shows online? Well, if yes then surely you need best anime streaming sites to fulfil all your demands. There is no doubt from kids to adult we all love to watch Anime shows. But when it comes to finding a reliable source to watch anime series, it becomes a little tougher to find the right one. As there are plenty of websites are already available on the internet which claims to give good quality anime videos but they don’t. In return, they show lots of irritating and annoying ads. So, to save you from not getting in the trap of ads and low-quality contents, here I figure out 10 best anime streaming sites Update List 2019, which not only provides high-quality anime contents but also displays no ads or fewer ads. All these anime sites have a huge library of anime shows and movies which attracts every anime lovers every time. On these sites, you will get the latest videos of your favourite anime series as soon as they released. They also demand to show fewer ads or no ads to you. As a result, you can enjoy your videos without any interpretation. So, without any wasting of time let’s start and find your preference site to watch Anime online. Hulu is a well-known name among the popular streaming service providers like Hotstar, Netflix, Amazon Prime etc. It might surprise you, but apart from thousands of movies and TV shows it also has an impressive collection of Anime series. If you like Anime series as well as movies and TV shows then this place is perfect for you. It brings to you both classics Anime like Naruto Shippuden, One Piece and titles like Trigun, Cowboy Bebop, FLCL etc. This is one of the best anime streaming sites as it doesn’t show you any annoying ads during your watching time, so you can enjoy your favourite Anime series without any interpretation. But Hulu isn’t free at all, for this ad-free experience, it charges you some bucks. The monthly subscription plans of Hulu quite affordable. It also offers you 30 days free trial, so you can ensure on its services before purchasing any plans. Hulu’s subscription also allows you to add Crunchyroll premium so that you can able to enjoy more Anime series, movies, TV shows in one place. This name is not unknown to us, one if the most popular online streaming service provider and biggest competitor of Hulu. Like Hulu, Netflix isn’t free. But you don’t have to anything extract than your original subscription plan which offers around 50 Anime series and movies. Netflix offers you original Anime series like Voltron and Seven deadly sins, which you can’t find anywhere else. While watching your favourite Anime series, it also allows you to switch between Japanese audio to English audio. You can also add subtitles. Netflix is one of the best anime streaming sites for which you are looking to watch Anime videos. Crunchyroll is a one-stop solution to your different Anime search, as it comes with an impressive library of more than 25.000 Anime episodes and 15,000+ hours of watching time. It offers you more than hundreds of Anime series and Korean drama to watch in HD quality. Apart from English and Japanese, it also broadcast shows in many other languages. 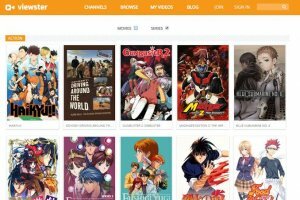 Crunchyroll is one of the best anime streaming sites which also offers Asian video contents on genres like drama, manga, entertainment, music etc. Here you can get all brand new episodes of your favourite Anime series just after they broadcast in Japan. If you are fine with ads that will appear in the middle of your Anime series then you can stay with the free version. But if you want to enjoy the ad-free experience of Crunchyroll, you can change to its premium version which charges you a little bit. This is an official legal Anime streaming site that provides high-quality Anime videos which are very much popular among Anime lovers. It has long passed the mark of one million paid subscribers and also proven to be a great alternative to KissAnime. KissAnime is one of the best Anime streaming sites that appreciated by many users. It comes with a dark theme and uses many vibrant colours to attract the users to its site. On this site, you can enjoy high-quality anime videos, mega-series, cartoons and more. You can stream any of your favourite anime series from the large collection of Anime videos on this site. It also allows you to stream the videos in different formats like 240p,480p,720p and even in 1080p. Like Hulu and Netflix, it doesn’t ask for a paid subscription rather it allows you to watch all its content for free. So, it is clear that some ads may come in the time for watching your anime videos. Viewster is one the best anime streaming sites for the freeloaders waiting there. It offers to watch its contents without charging any penny. It not only allows to watch Anime, movies or TV shows but also allows to search trending Anime and Korean dramas. Just type the name of the Anime series in the search box and search for it. Then choose the episode or series which you want to watch. Though the catalogue isn’t that much impressive it is a well designed and lightly ad-supported site. It has also an App on Android platform which you can download to watch Anime and Anime based movies anywhere, without coming across annoying ads every minute. Are you searching for a site which provides high-resolution Anime contents, quick updates and also shows fewer ads? Then 9Anime is the one which you are looking for. It has a large collection of more than 26,000 Anime shows, movies, and videos and more is added to the list regularly. All the video contents in this site are sorted by Genres, newest, recently added, most watched, ongoing etc. which make it easier for a fresher to find his/her desire one. 9Anime let you stream the content which is dubbed in English. So, it will be great fun if you prefer this site to watch Anime videos. If you are more like to watch dubbed Anime videos online free then you can’t miss GoGoAnime. 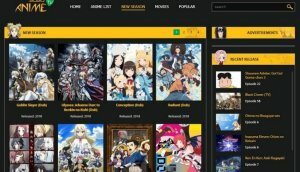 This is one of the best anime streaming sites with a huge database which is filled up with anime series, cartoons, movies and the latest Japanese and Korean dramas. The Anime series are categories by alphabetically which make a lot easier to find your favourite one. GoGoAnime comes with a user-friendly interface and the homepage comes with tabs like Recent Release, Recent added, Popular Ongoing Update, etc. to help you get access to the most popular, latest and newest anime series on one tap. If you are a smartphone user and like to enjoy the best anime videos on your smartphone then you can download GoGoAnime app from Google play store. Anime Freak is one of the best anime streaming sites that offer both dubbed and subbed Anime series and the best part is it is absolutely free. It has more than 10,000 episodes of different anime series and new ones add to the list every single day. It doesn’t let you wait too long and adds new episodes after they have been released. Anime Freak comes with a very clean user interface and categories Anime series in alphabetical order. It also includes tabs like the genre, latest Anime, popular and more. Which makes it easy for a user to navigate through the site. Just sign up and start enjoying your favorite Anime series. Anime Freak is quite popular in countries like India, USA, Canada, UK, and Japan. Though it doesn’t charge you anything for watching videos in its platform, so sometimes it displays ads which might be annoying for some users. Funimation a legal Anime streaming site known for its impressive collection of Anime of all genres. After being so good at Anime videos collection, then the only downside of Funimation is, it is regional restricted and not available in all countries. If you are in the zone where it is available then just create an account and start watching your favourite Anime shows. It is one of the best anime streaming sites that offer top-rated Anime shoes to watch in various languages and subtitles. Though it has both free and premium versions the free one is filled with irritating ads which you will definitely not want. Whereas the premium version charge you $5/month but you will get worth of it with a bunch of exclusive contents. Funimation has a large catalogue which includes old classics like “Dragon Ball Z” and “Fairy Tail”. Here you won’t face a shortage of newly released series either, although the dubbed versions take a few weeks to come out. Last but not least, Anime Heaven is the one which you shouldn’t miss when you are searching for the best anime streaming sites to watch anime videos online. It has attractive designs and layouts that enforce many users to hold on its site. It includes both subbed and dubbed anime shows and movies. This website is entirely free but it doesn’t show you rubbish ads which could make your browsing experience even worse. Here you can easily track the current shows which are added to this site. When you tap on any categories, you can find detail information of an anime series like the genre, release time and number of episodes etc. 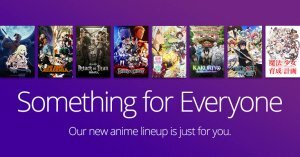 You can also filter out the best anime series rolling out in the platform with easily. If you are looking for a platform where you can stream as well as download video content, then Anime Heaven is the perfect one for you. As it allows its users to download videos in different resolutions. Yes, It is really a Heaven for anime lovers where a user will get all the popular anime series, movies, cartoon shows and many more for which he came. 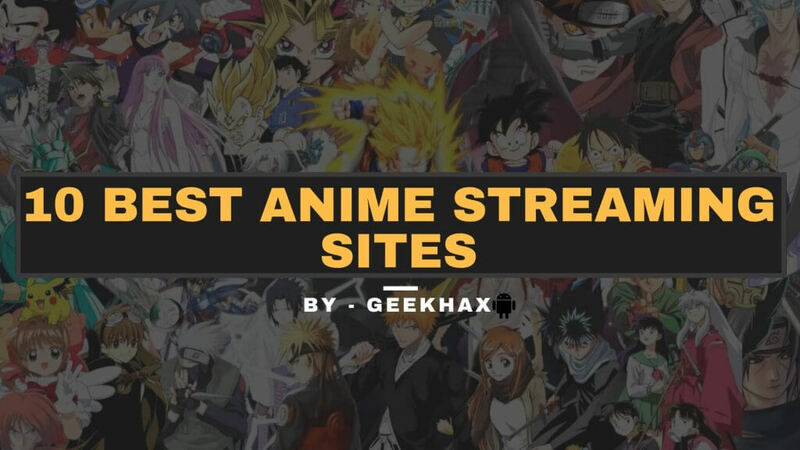 So, here I end the list with 10 best anime streaming sites and also provide a short overview on each of them so that you can get a clear idea about these sites before you visit them. Some of the above-mentioned site demands paid subscription where some are totally free to use. But all these Anime streaming sites allow you to watch and enjoy your favourite Anime series without any hassle. So, without wasting time, go and check these websites, find the one that which full fill all your demands and start watching your favourite anime shows. Though the list of best anime streaming sites is too long and it is not possible to cover all of them at one place with their brief details. So, if you know any other excellent anime streaming sites, do comment below and let us know about it. Don’t Forget To Subscribe our Blog Geek Hax and if you want to read more such type of post then check our Android Category.